Welcome to Pediatric Dentistry of San Angelo. Our office provides specialized dentistry for children and adolescents in a warm, caring and "child-friendly" environment. 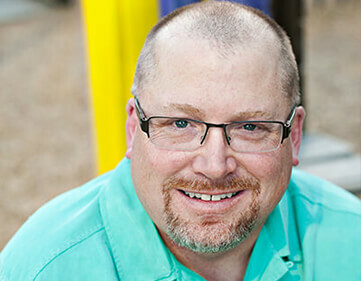 As a pediatric dentist, Dr. Sawyer's 2-3 years of additional training after dental school has prepared him for the unique dental needs of each child we serve. We focus on preventive care to help each child grow a healthy smile that will last a lifetime. Our office serves infants, children, teens and children with special health care needs in San Angelo, TX. "I love pediatric dentistry- and the kids I get to serve in the process. Not everyone gets to do exactly what they want for a career. I'm very blessed to have had the opprtunities I have, that have led me to where I am. I want to share my knowledge and skills with families in hopes that we can reduce children's dental decay and other dental health problems for our kids. Working with such diverse personalities in our field require a lot of flexibility and a lot of energy. But it pays off at the end of the day. I truly feel that I've been blessed in working with children. I know it is what I was meant to do." Our mission is to educate, renew and foster your children's "Best Care"
We treat your kids as our own!